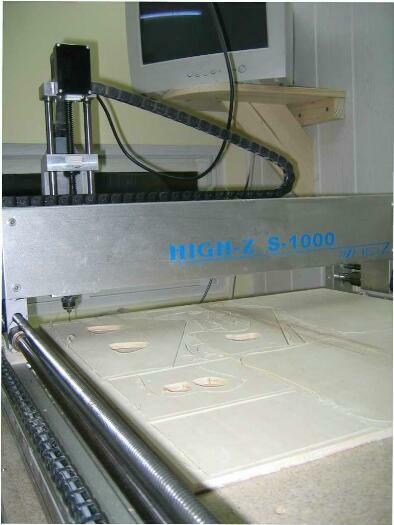 Used software: ConstruCAM 3D ffor CAM machining with existing drawing in e.g. DXF format. 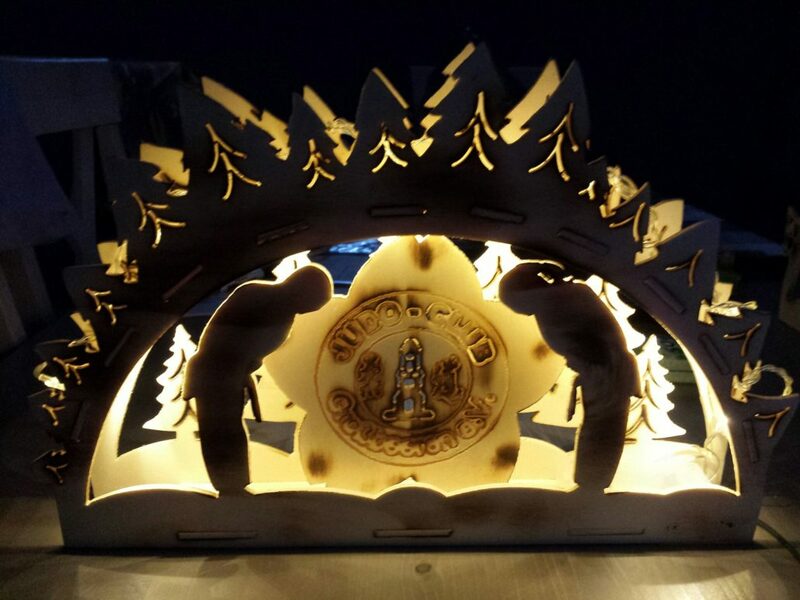 Already some of our customers produce wonderful pieces of jewelery made of wood for their customers every year during the Christmas season – light arches! 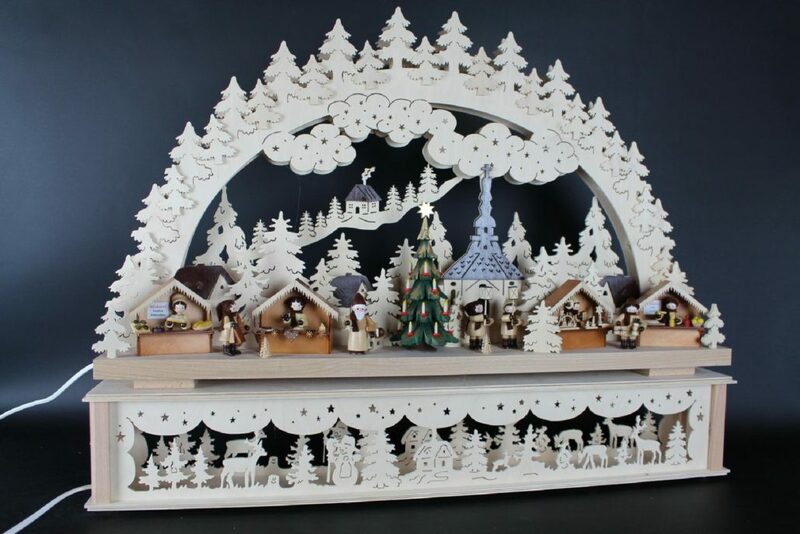 The 2D milling with the CNC milling machine in wood is suitable for the creation of traditional light arches or even complete Christmas cribs. 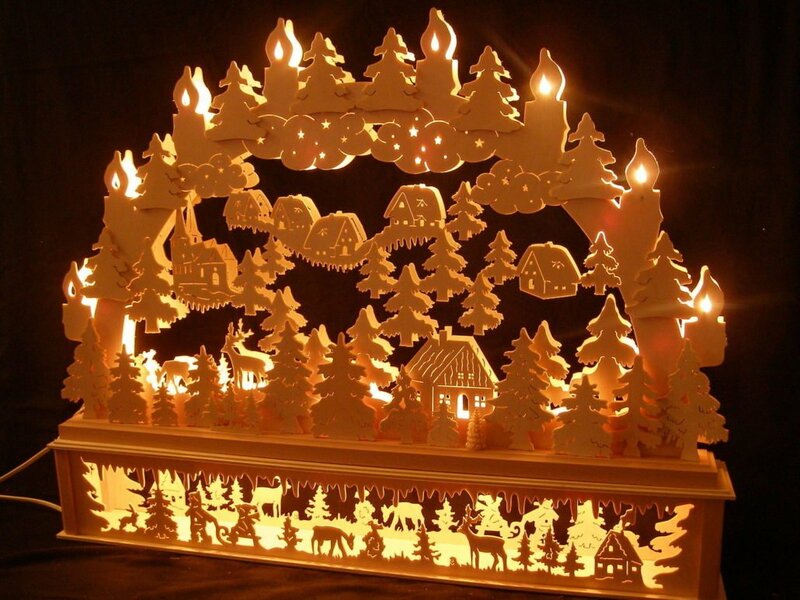 Similarly, window pictures or stands for the backlighting with tealights or LED lamps are made. There are no limits to the creative freedom of our customers. 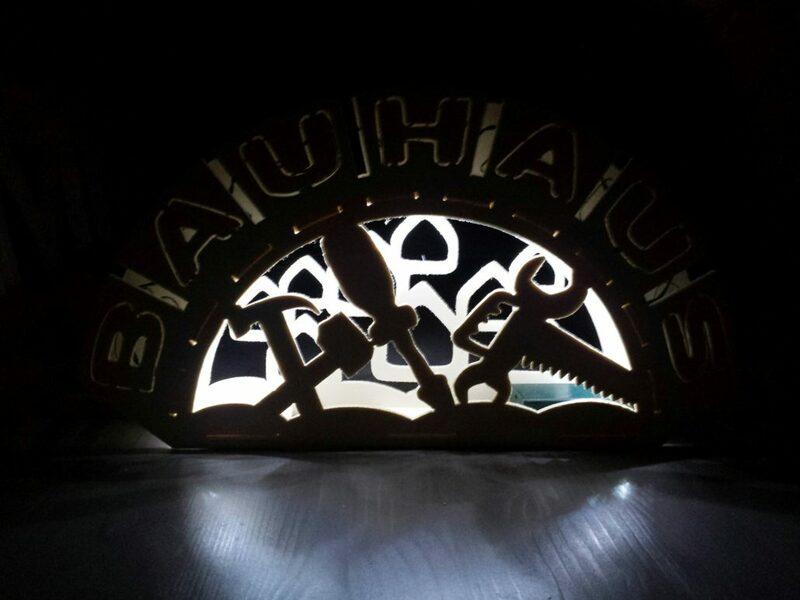 Various forms, types of lighting and sizes of light arches are possible and are implemented. 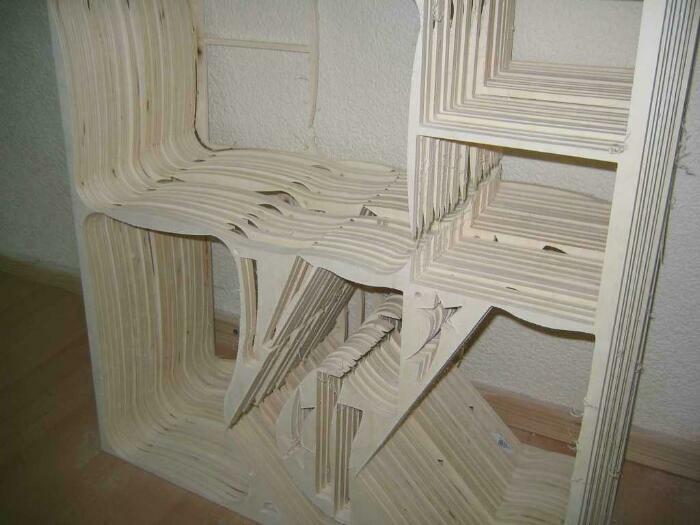 Of course, the entire assembly, painting and wiring, etc., is done in laborious manual work. 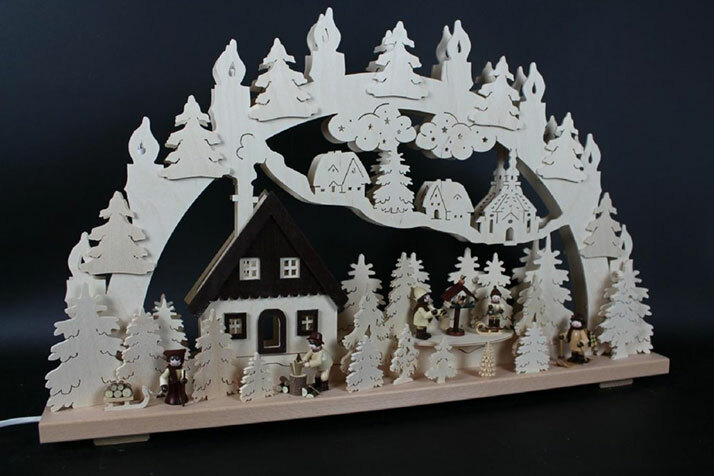 Some customers of our CNC machines even come from the beautiful Erzgebirge. In addition to the traditional arch form, there are also new types such as the gable top or the pointed arch. 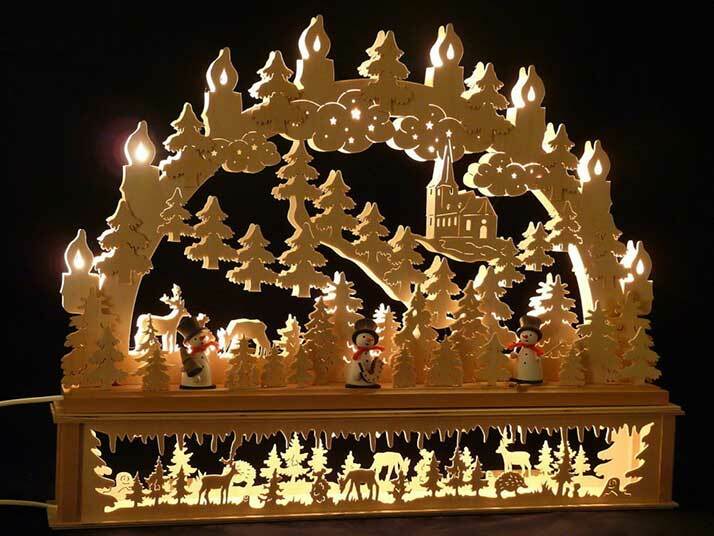 The pointed arch is one of the best-known types, which is increasingly milled by many manufacturers of traditional light arches in the Erzgebirge today with a CNC milling machine and then assembled by hand. Not infrequently our customers sell their beautiful, lovingly designed and artistically decorated light arches artworks via their own commercial wood art website. 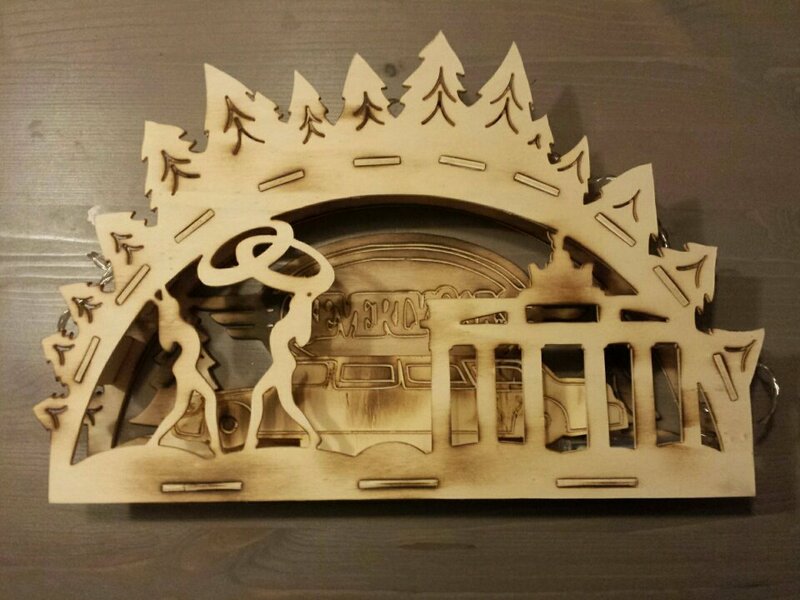 There are also E-Bay shops with CNC manufactured light arches and other wood art. 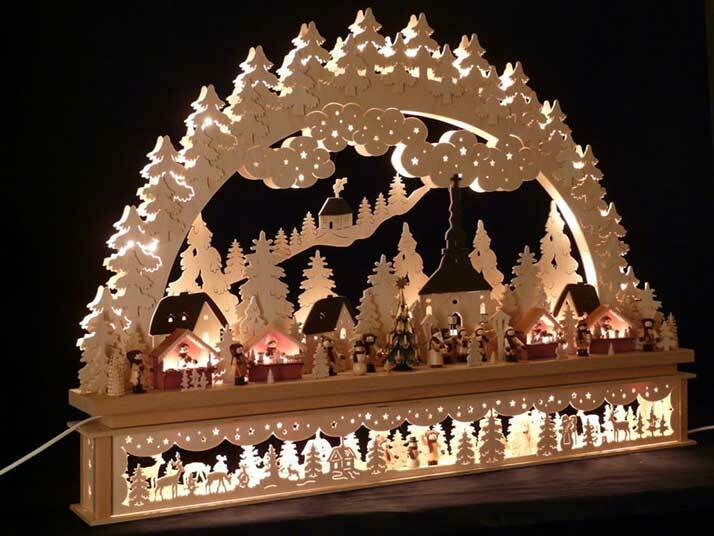 On the basis of free DXF templates for light arches which can be found numerous on the Internet, also everyone is able to produce his first CNC manufactured Christmas arcs or window pictures himself and does not even have to design them himself. Attention ! 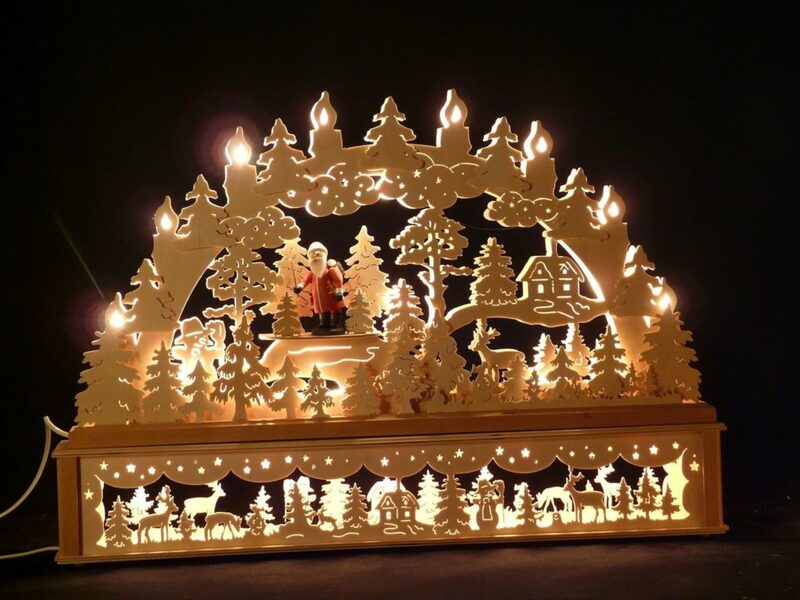 Always pay attention to the copyright, as most of the originals may then only be used as a template for a specially designed candle bow or the milled result may only be used privately. In some examples, we also show candle arcs of creative “homeworkers” that, for example, promote a company or have produced a candle arch for a judo club. 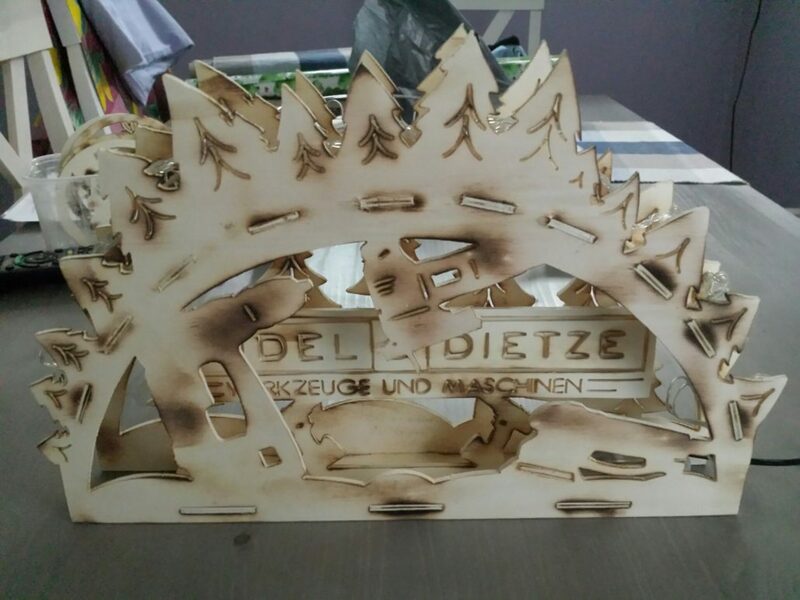 In the example on the right we also show the ultimate candle arch for the Berlin Stretch Limo Party :-) Also a candle arch for Easter is possible. 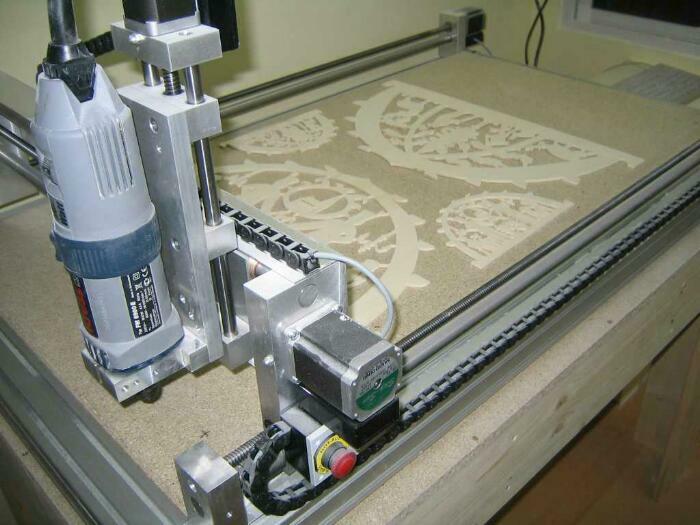 And when do you start to let your creative vein run wild with the help of a CNC-STEP CNC milling machine? All roads are open. 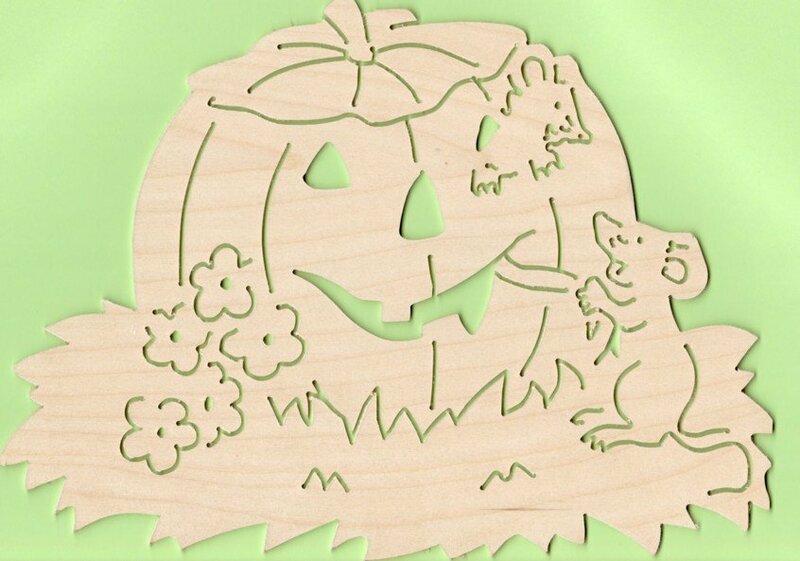 There are certainly thousands of other ideas regarding arcs, tealights and window pictures etc. 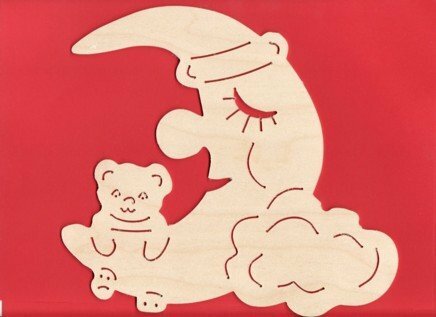 Wooden figures / crib figures can also be made. 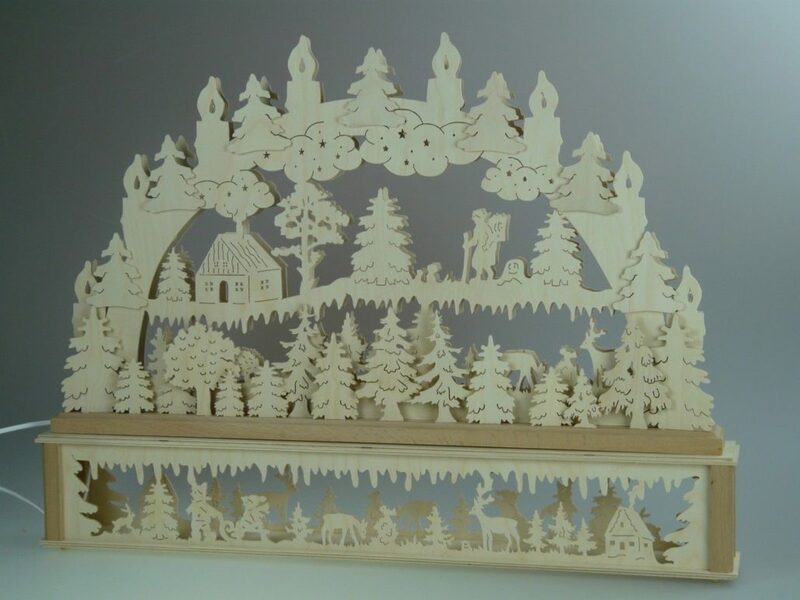 Or think of individual Christmas tree decorations made of wood. Your creativity is in demand here. 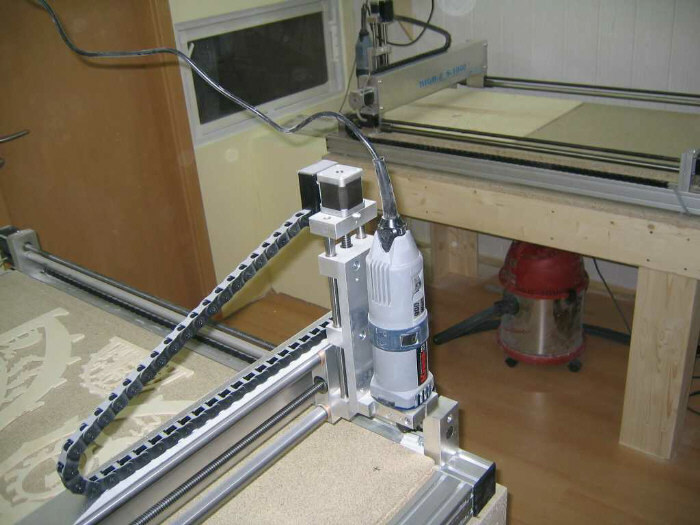 Milling wood is one of the “easy exercises” of a High-Z CNC milling machine. 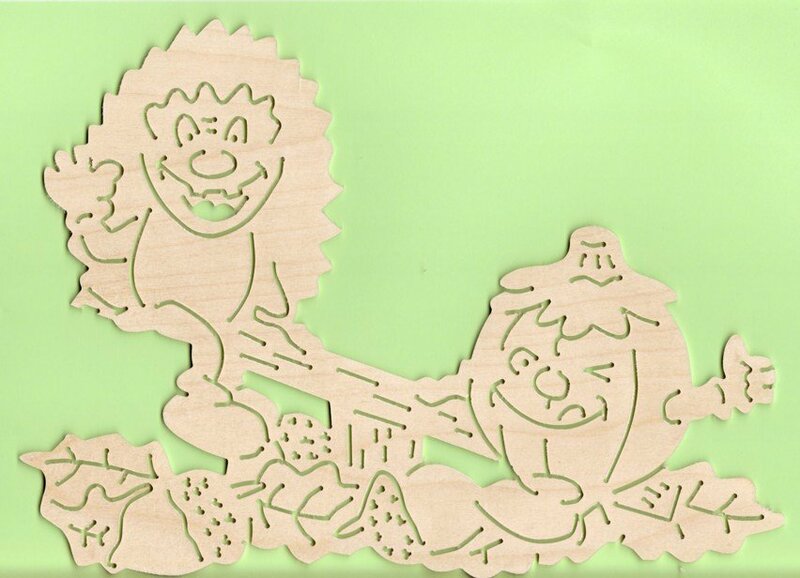 Several customers around the world use our equipment to do 2D or 3D work in wood. 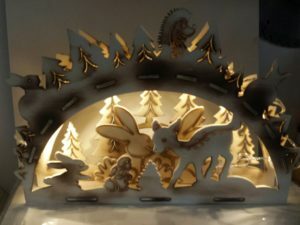 Likewise, some customers produce complete cribs with nativity figures for Christmas with the help of the CNC rotary axis. 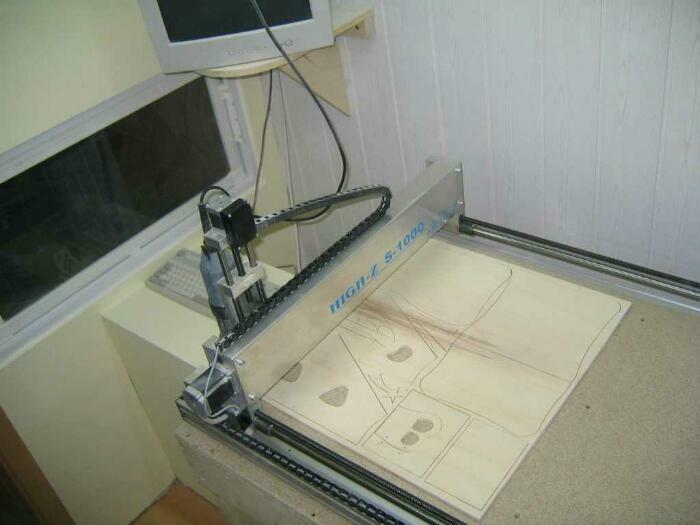 As the CNC machines are able to work day and night, they are of course absolutely suitable for mass production. 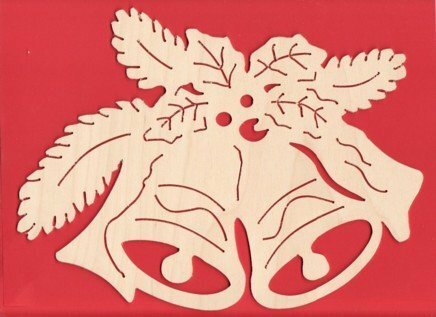 Especially in the Christmas business, the investment of a CNC machine should pay off.